The Convention will run from Wednesday 12 September 2018 through to Sunday lunchtime 16 September 2018, followed by our primary annual educational event for all members, Harmony Academy, from Sunday 16 to September through to lunch time on Wednesday 19 September. $260 Student (Full time student <25 years not in full time work). Renowned as the “City of Churches” for at least the last 150 years, Adelaide is now celebrated for many other reasons, but none more so than its creative culture. 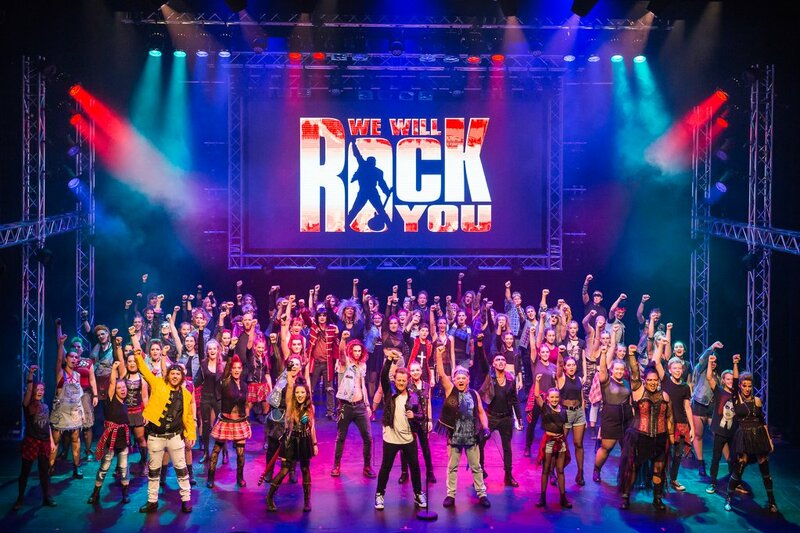 Music is a core component of Adelaide’s cultural identity and in 2015 the city was recognised as Australia’s first and only "City of Music" by the UNESCO Creative Cities Network. The main Convention events in Adelaide will be followed by Harmony Academy which will be held at the Adare Camp and Caravan Park, 20 Wattle Drive, McCracken (Victor Harbour) from Sunday afternoon 16 September 2018 to Wednesday 19 September 2018. This will offer a unique opportunity to receive singing and music tuition from a faculty of outstanding Barbershop educators in a beautiful harbour side setting. Access to registrations via the Convention website for the Harmony Academy will soon be available. Australian Barbershop is now entering its busy regional contest season. These regional contests are held as qualifying contests for all quartets competing in the National Contest which forms a major part of the Convention in September. There will be Regional contests held in Sunshine, Central, Victorian, Eastern and Western Regions. I would like to extend a big vote of thanks to our judges and contest administrators, the regional chairmen and their committees, as well as our Chairman of Judges, Alex Morris, for making these contests possible. Best wishes to all of those competing in the upcoming contests! 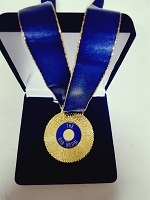 Of course, not everyone will receive a medal, but I hope you will all enjoy the experience and achieve the goals you have set for yourselves. Looking forward to seeing as many of you as possible at the Convention in September! I'd also like to wish all youth quartets and choruses the very best of luck as we roll into our regional contest season! Kieran O'Dea - VP, Youth Development. On the 11th of April we celebrated Barbershop Quartet Day! This date commemorates the birth of the organised barbershop movement on the 11th of April, 1938, when 26 men gathered together at the invitation of Rupert Hall, the “Royal Keeper of the Minor Keys,” and O.C. Cash, “Third Assistant Temporary Vice Chairman” for a songfest. 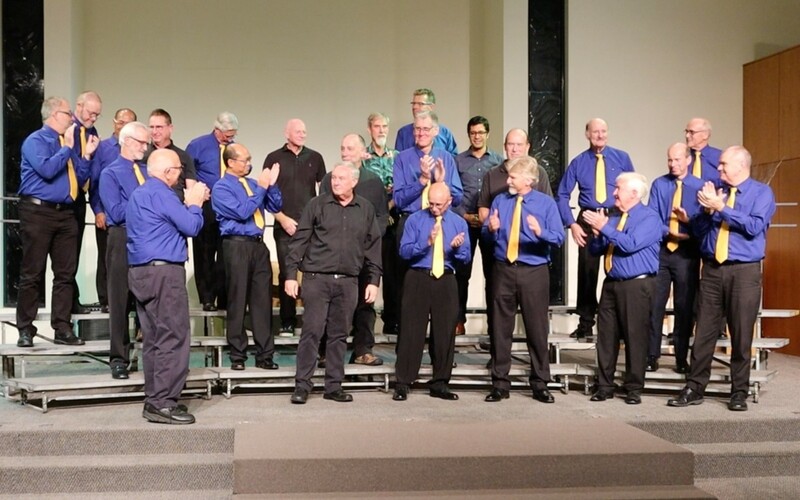 Subsequent gatherings snowballed, leading to the founding of the Society for the Preservation and Encouragement of Barber Shop Quartet Singing in America, now known as the Barbershop Harmony Society. 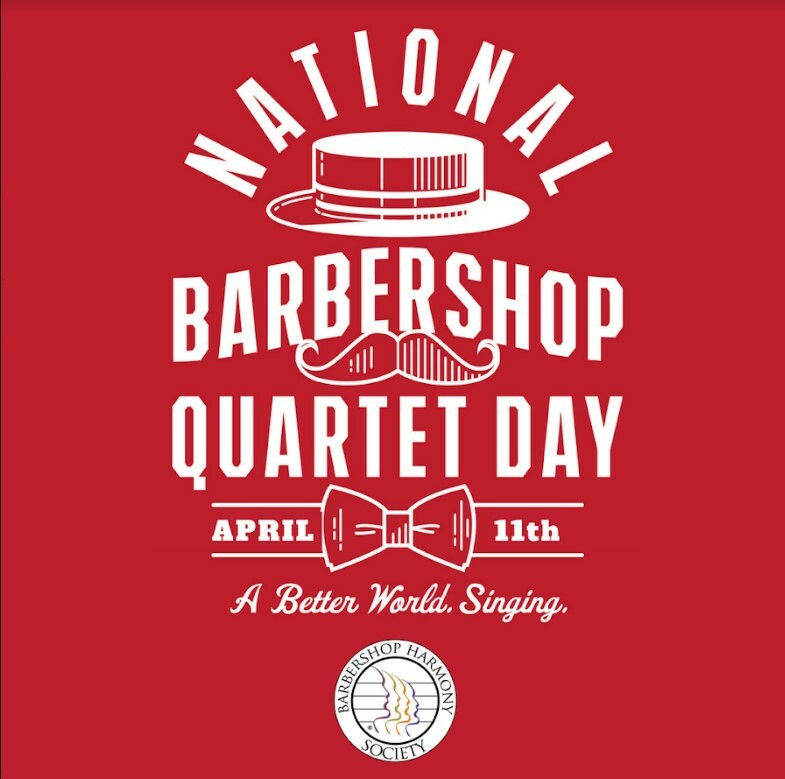 BHA celebrated Barbershop Quartet Day by sharing videos of quartet performances from our recent National Convention in Sydney (which you can find on our YouTube page). How did you celebrate? Please share with us by emailing me at marketing@barbershop.org.au or by posting to our Facebook page. Further to our package of initiatives to upgrade our marketing and recruitment programme, the Melbournaires Events and Marketing Group has finalised the design for a new club emblem as shown above. Based on the emblem that was used for the 2016 national convention in Melbourne, it will replace the many variations of the "spire" currently in use. As a more modern and meaningful design, it is hoped it will quickly be recognised as synonymous to the Melbournaires Harmony Chorus, its associated choruses and quartets. 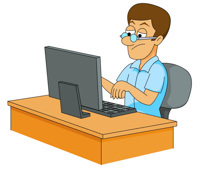 We have also been working with social media as a means to interest a wider audience from which to recruit. 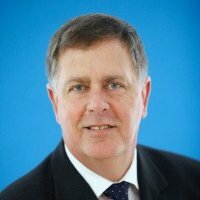 Set up by our knowledgable and hard working Charles Dougall, it employs Google MeetUp, (similar to Facebook but far more secure). The idea is to gain expressions of interest and send out invitations to rehearsals and/or events. 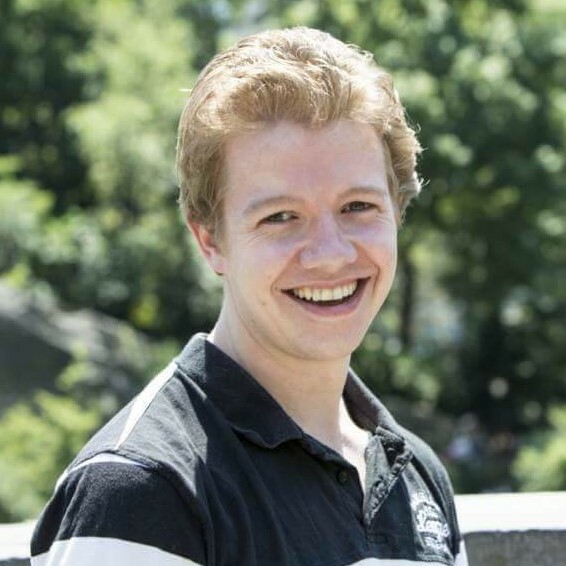 The system is run by Andrew Wright, one of our few tenors, so we will wait expectantly on a high success rate. Finally, we are not only spreading the love of barbershop singing locally or within Victoria. 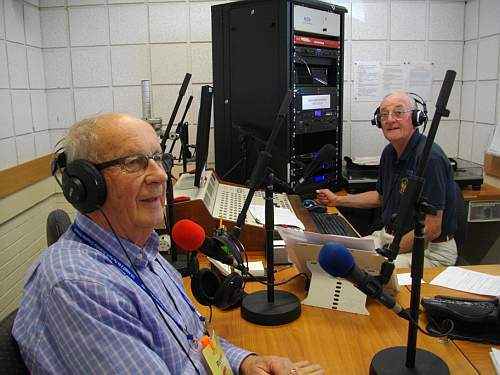 Our master collector of barbershop recordings Roger Archman, has been presenting his Barbershop Show on local radio for more than 12 years. Radio 98.1 FM is now streaming live, which means anyone in Australia can pick it up on the first Monday of every month at 1.10pm after the news. It works so well that Rogers' son listens in from Bath in the UK. Rogers' radio gig began when he asked them to publicise a Melbournaires show, and he has been doing it ever since. 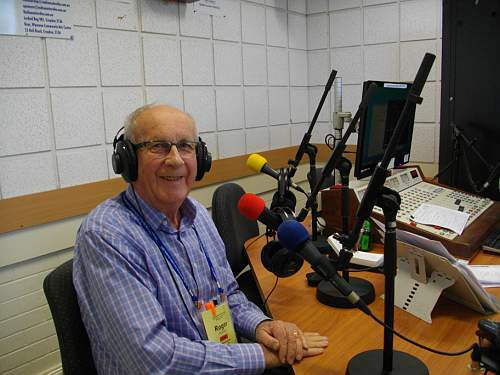 Having just been introduced to his third host presenter in that time, he is what you might call an old hand at the job, but still loves doing it, and does a wonderful job for the Melbournaires. If barbershoppers in Australia want to receive the play list before the show, all they need to do is become a Friend of the Chorus, (name, e-mail address and phone number), and he will send them the play list each month. Any new chorus or quartet CD will be gratefully received, and will be played on the show. We look forward to exchanging promotional ideas with other choruses in the interest of keeping barbershop exposed to the masses. 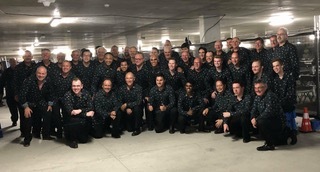 Sixteen members of The Adelaide Allsorts Harmony Chorus competed at the first Barbershop World Mixed Chorus Competition hosted by Barbershop in Germany! (BinG!) in Munich over the weekend of 6th – 8th April 2018. The World Mixed Chorus Competition was run in parallel with the German Barbershop Musikfestival 2018. The venue was the outstanding Philharmonie Hall at ‘The Gasteig’, Munich. 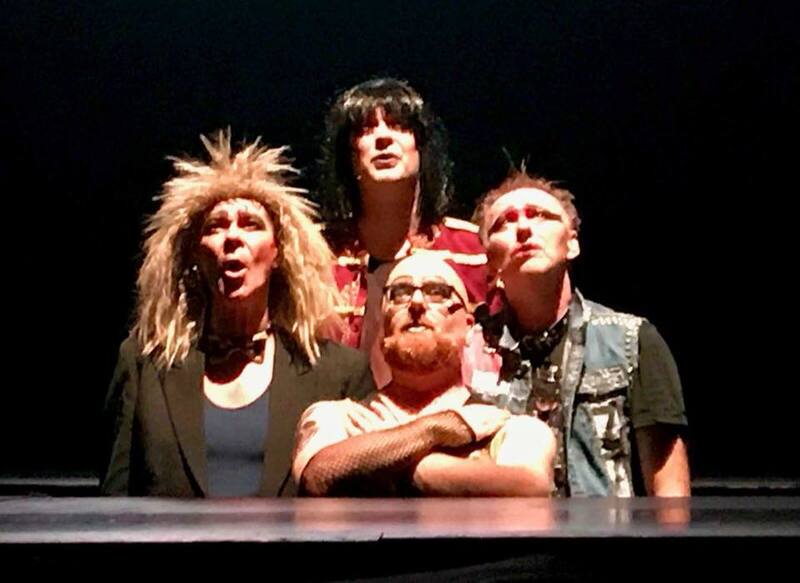 There were seven mixed choruses from Germany, UK, Ireland, Canada, Sweden and, of course, the Allsorts from Australia. Everyone we spoke to could not believe that we had travelled so far to compete, but were very appreciative that we did. The reception we received from the audience upon being introduced was rapturous, so much so that I had tingles in my neck and other members of the chorus were also moved. We scored 63.5 average over our two competition songs. While this fell well short of some other competitors, we were not last (we finished sixth). We were happy that we delivered on stage exactly what we had rehearsed. 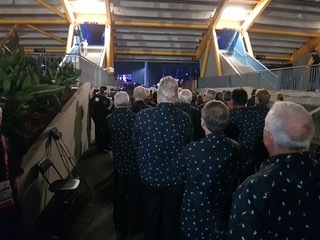 Sharing the stage with the likes of The Roninge Show Chorus, Heavy Medal and The Newfangled Four among others during the Matinee Show on the Sunday was also a highlight of our trip. After being introduced during this show, mention was made that it was the birthday of one of our members and so the audience sang Happy Birthday to her, which moved her to tears, thus taking out our entire tenor section! Overall, this was a well worthwhile adventure. The barbershop community as always was welcoming and supportive and I am sure we will have many happy memories of this experience for a long time to come. Wa’s Happnin’ in da Hills? All the preparation for our “A Cappella for Fellas” harmony singing course has fallen into place since the new year. We have been working hard producing corflute bill boards and then installing them into highly visible positions through out the Hills District. Our thanks to the Canberra Chordsmen for some good tips and great ideas which inspired us in our plan to keep the Hills “alive with music”. We had a great Bunnings Barbecue in the mix as well. A stream of customers all day and we were so busy there was hardly time to sing together. We will have to arrange things better for the next one. The day added about $1,800 to our savings fund for a set of new, more manageable risers. This gave us enough for the deposit so they are now ordered and we have about four months to accumulate the balance. March has been a great year for anniversary celebrations. 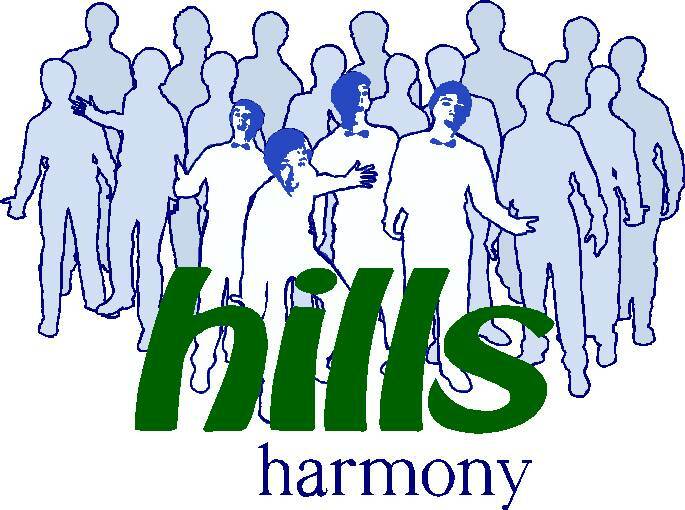 This month Ron Hovorka, Rob Pryde, Rob Wansborough, David Farley and John Gerber all celebrate more than 20 years singing with Hills Harmony. Our heartiest congratulations to them and the members of Hills Harmony thank them for their support. They must be enjoying themselves. “Spot the camera” was the call as we came off from our final afternoon rehearsal for the Commonwealth Games closing ceremony. - a little more on that later. 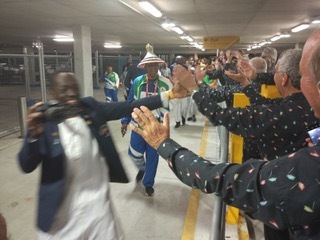 This week saw the Blenders participate in the biggest event in our 30 year history - the closing ceremony of the Commonwealth Games. Huge congratulations go to our team which started negotiations with the Closing Ceremony Team many months ago. Without them we would not have been part of this event. To get a behind the scenes look at the organisation, rehearsing and feeding a cast of 1500 people was an experience to say the least. At rehearsals there was many an hour of down time, but we managed to put the time to good use as we entertained, taught tags and supported other cast members. The small section rehearsals that we started out with months ago morphed into the huge production shown on the night. Originally our spot was just 55 seconds, a small part in a very big cast. But then to be invited back to sing with headliner Archie Roach and other performers such as Anthony Cellea, The Veronicas, Guy Sebastian, Katie Noonan and Kate Ceberano and the other members of the ‘star cast’ in the finale was was a huge honour and one which none of us will ever forget. “Spot the camera” (spider cam) became a problem for the night performance when the camera became camouflaged in the night sky but we rose to the occasion and managed to get our bearings and cries of “where was the camera, I couldn’t see the camera”, became the talk as we walked off, but we all agreed most of us managed to get our bearings and find it. After a very long week we all traipsed home by whatever means we could with sore feet, tired and exhausted but all the better for a fantastic experience. 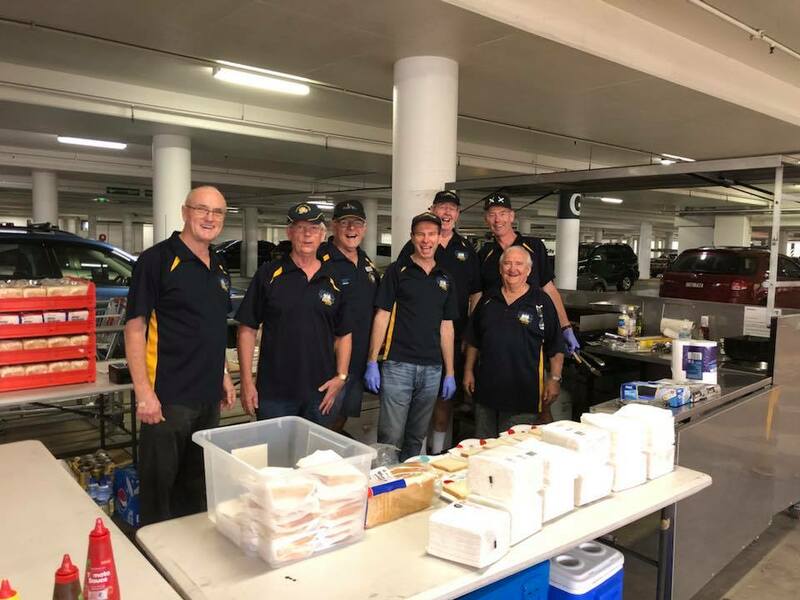 A few weeks earlier The Blenders entertained at the Gold Coast Rotary Convention and performed at the opening of the new outdoor stage at the Gold Coast Home of the Arts (HOTA). A fantastic new venue for the Gold Coast. The same week as closing ceremony rehearsals The Blenders also sang as part of the Bleach Festival and the next day helped celebrate Centenary of Southport which was followed by a full dress rehearsal for the closing ceremony on the same day - a very long day. We are now switching into ANZAC day mode, preparing for Regionals, singGC (June) and Voices In Paradise (July) - a busy time for us ahead. What a year it has started out. The Chorus has grown in numbers and some nice sounds are developing among what is relatively a neophyte group as a lot of our people are still new. But there is more….. 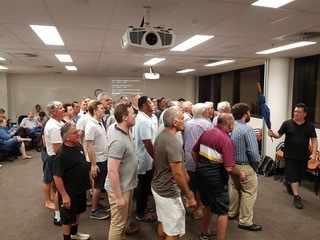 The Judges from the Saturday Regionals will be in Ipswich Old Court house to help Miner Chords members and other Barbershoppers and singers to sing better. The 3 judges will be there. 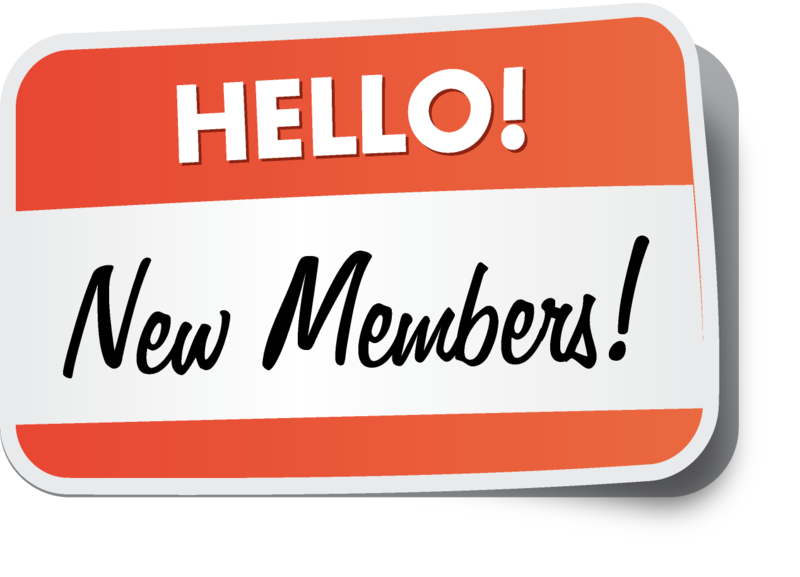 We are inviting members from other Choruses to share in the experience. A cold lunch will be available as well as tea and coffee. Cost is $10 for lunch, etc. Interested?? Please contact David on 0407831326 to book a spot. Ipswich Old Court house is on the corner of East and Roderick Sts Ipswich. Parking available on the opposite corner. I would like to acknowledge the support from Trevor and Shane from BHA for their support in providing this opportunity. And some more good news…. Our Chorus recently had a guest MD of Kelly Shepard of the medal winning USA quartet “Metropolis” for several weeks. 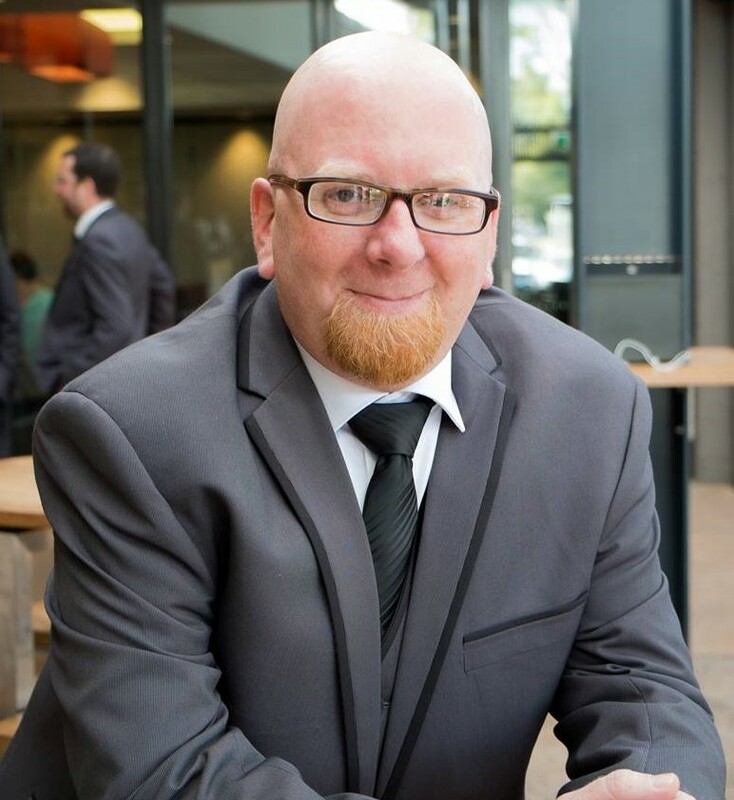 Kelly and his family are resident in Brisbane. If you want to see how fun quartet singing can be check out YouTube Kelly Shepard and Metropolis. You’ll love it! !